Stan Barrett was reputedly the first man to break the speed of sound in a car. His Budweiser Rocket went supersonic in 1979, but due to a timing anomaly the record was never officially registered. History has forsaken Stan Barrett and it has been similarly tough on the Toyota Picnic. The mini-MPV sector is one that sets car buffs nodding sagely. "How different things were before the Renault Scenic came and changed everything." Indeed, before Renault's beloved Scenic, MPVs were large, cumbersome and bulky. All except the Toyota Picnic. Whilst not as small as a Scenic or a Zafira, here was a mini-MPV before the term was coined, for sale in Britain while the Scenic was just a concept waiting to happen. In many ways the Picnic is Toyota's invisible car. Try to picture a Picnic and its amalgam of soft curves, edgy details and bulky silhouette are difficult to get a handle on. Beneath this visual anonymity, the Picnic is a well thought out concept. Ideas that other manufacturers are incorporating now are evident in the Picnic's interior. These factors serve to make a used Toyota Picnic a bargain way to enter a hot market sector. It's pointless trying to quantify the huge steps forward made by the Picnic, as it had no direct predecessor. As a trailblazer for a new market sector, the Picnic got a lot right first time. Remember, in the early days of 1997, new Vauxhall Sintra variants were still being launched. 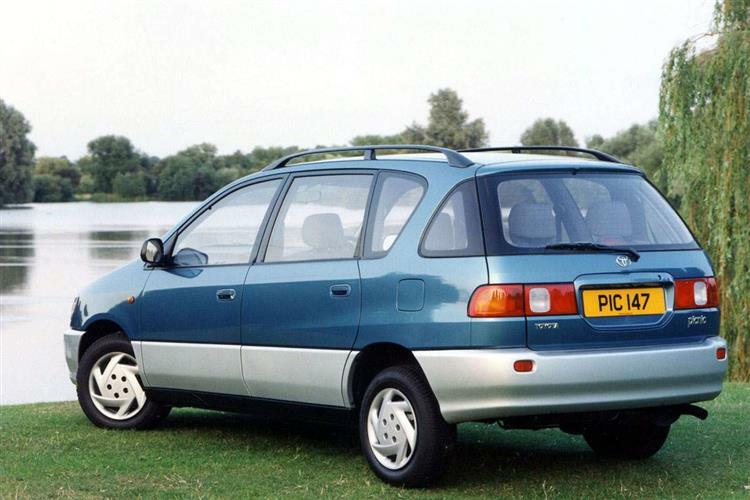 The Picnic was billed by Toyota as an FFV, a Family Fun Vehicle, although this niche designation was never taken very seriously. The Picnic has outlasted many rivals, but unsurprisingly is no longer at the cutting edge of the class. Beating the Scenic to market was one thing, being able to match it in sales, quite another. The Picnic was never up to this task, and as newer and more ingenious rivals were unveiled, the Picnic became increasingly overlooked. This was a shame, as the Toyota's six-seat accommodation was superior to the five chairs offered in the Scenic, albeit in a slightly bigger body. There was no need to be packed like sandwiches into this Picnic, although rear access was hampered by a lack of sliding door. Where rivals really stole a march on the Picnic was in making accommodating the family vaguely trendy, blending in a lifestyle element, if you will. If this matters to you not a jot, the Picnic will appeal. Toyota finally sounded the death knell for the Picnic in summer 2001 when the Avensis Verso model replaced it. The Picnic has not changed a great deal since launch, but represents an honest and practical workhorse. Other rivals have surpassed its packaging and appeal, but if imitation is the sincerest form of flattery, the Picnic can feel proud. Models such as Mitsubishi's Space Star or Kia's Carens have taken the basic body shape of the Picnic and offered their own interpretation of it. Trim levels are comprehensive, with a firm nod towards safety. The entry-level 2.0 GS features electrically heated and adjustable door mirrors, electric tinted windows, high level stop light, twin airbags, side impact beams and front seat belt pre-tensioners. It also boasts central locking, immobiliser, remote security system and a Sony radio cassette unit with optional steering wheel control. The GL, which in May 98 was redesignated the GLS, added a second row of armrests, security etched windows, drivers seat height adjustment, luggage hooks and CD compatible Sony stereo. A seven-seat configuration and dual sunroof were available as an options pack. Range-topping GX derivatives came with twin sunroofs, air conditioning and a high-end Sony radio cassette with steering column control. As with all cars that get used to ferry children back and forth, check for rips, stains and other damage to upholstery and minor trim parts. Also bear in mind that many Picnics are used in urban areas, so check for parking knocks. Other than that, expect the usual Toyota reliability. It's reassuring to know that although the 2.0 Picnic shares an engine with the Toyota RAV4, it probably won't have been driven so enthusiastically. Despite this, check for its service history but otherwise buy with confidence. Does it handle like a car? Well yes, by and large it does, though weight and bulk would prevent you staying with the finest of the current crop of medium range saloons if the going got twisty. Power comes from either the RAV4's 16-valve 2.0-litre petrol engine or a 2.2-litre turbo diesel unit. Even this latter powerplant is no slouch, taking the Picnic TD to sixty in just under fourteen seconds on the way to 100mph, with a combined fuel cycle figure of 36.2mpg. Whether you choose petrol or diesel power, your Picnic comes with six, separate, full-sized seats, each equipped with an adjustable headrest and its own lap and diagonal seatbelt. Both driver and passengers have that high, commanding seating position that MPV users like so much, without the sheer width and length that can make ordinary People Carriers so unwieldy. You can't have everything of course. That lack of width means that the front seats don't swivel round as they do in some larger MPVs to create a 'conference style' atmosphere. That said, you can do just about everything else to suit the interior to your ongoing needs. In all, there are no fewer than 17 possible seating arrangements in the Picnic. The individual chairs fold, slide, recline or, in the case of the third row, can even be removed for extra luggage space. Which means that you can create everything from a comfortable twin bed to a centre picnic table, which appears when the second row of seats is folded in half. 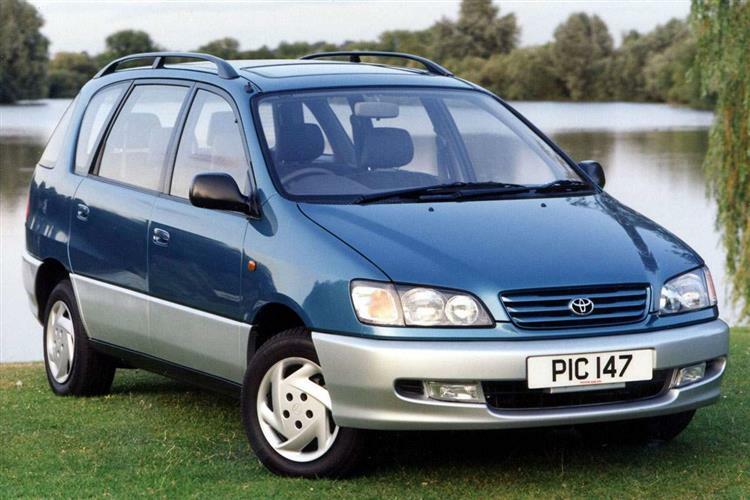 As long as you know that your used Toyota Picnic is never going to set neighbourhood curtains twitching in envy, it will make a dependable buy. Other rivals may have more flair, cleverer tricks up their sleeves and more seductive styling, but the Picnic got there first. Others have copied its silhouette and some rivals have fallen by the wayside, but the Picnic's longevity is due to its practicality. It may be Toyota's invisible car, but a steady stream of buyers not only see them, but see the point in laying their money down for a Picnic. As a used buy, you can't buy safer. It may just seem a bit too safe for some.